Phase 2 commenced with the appointment of a Heritage Learning Officer, Joe Priestley, who works half his week at St John’s. The other half of his week was with Ripon Cathedral but is now with the National Trust at Beningborough Hall. Joe has had a number of notable successes, particularly in environmental and educational initiatives – some evidence of his work can be found in other sections of our website. His salary forms part of our grant from the Heritage Lottery Fund. Thanks to the funding we raised we now have a car park for church and school use (but not forgetting hikers and dog walkers) and the building and restoration works are now complete. Three of our stained glass windows were removed and taken to York for conservation with stunning results, we have a beautiful new meeting room and enlarged and improved kitchen and toilets. We have also created level disability access to the front of the church with low level lighting to paths that were dangerously dark. 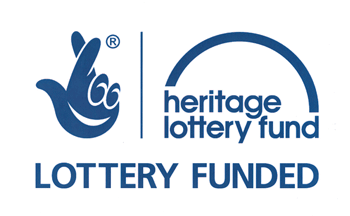 We are eternally grateful to the Heritage Lottery Fund and WREN Landfill Trust for their very generous support, and to All Churches Trust, Yorkshire Historic Churches Trust, Priestman Foundation, Taylors of Harrogate and some other smaller trusts. We have also had a number of donations from local residents to whom we give hearty thanks. Our aim was to keep St John’s at the heart of the local community and to preserve its heritage for future generations. The Vision Project team believe we have achieved this without compromising its main purpose as a church.